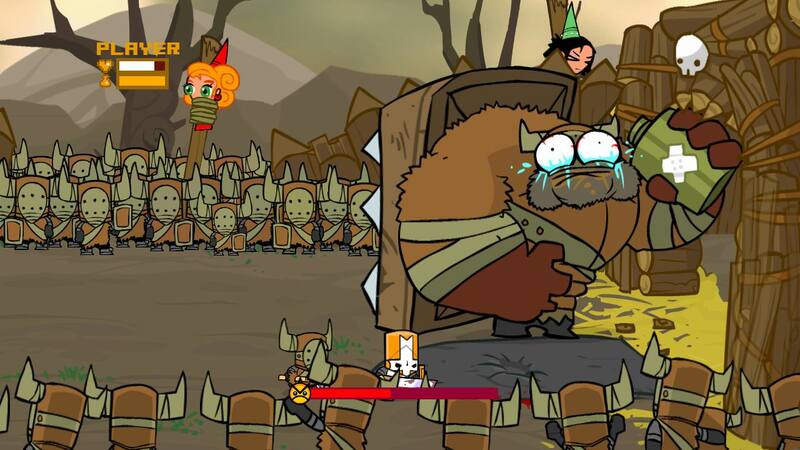 Castle Crashers has coop and so far a lot of content. Graev and I played it for a couple hours straight finding lots of different weapons and collecting relics in order to move on to the next area – what I assume to be another set of levels. The goal right now appears to be chasing down the enemy who has kidnapped the princesses. I believe we have saved 2 of the princesses so far and achieved level 12. Levels allow you to allocate points into increasing melee damage, defense/hp, agility for ranged stuff, or magic. Graev went the Magic route and I’m going a pure hack & slash melee dmg/defense fighter. It’s lots of fun and worth the points. We definitely recommend you play with friends. Grabbing it as soon as I get home, have been looking forward to it. Looks alright, might give it a try. Its about Epix. Must be WoW.